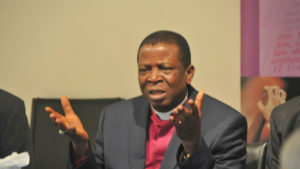 Archbishop of Abuja Province and Primate of the Church of Nigeria, Anglican Communion, Most Rev. Nicholas Okoh has advised athletes to be Christ-conscious in their sporting endeavors. Giantability’s Anne gathered that the primate gave his advice while delivering his speech at the (2019) 11th Inter-House Sports Competition of the Anglican Girls Grammar School (AGGS) in Apo, Abuja. Okoh who is the proprietor of the school said, “I am not unaware of the exploits you girls have done in competition not only among yourselves but also with other private schools in the Diocese. “The zeal you put into your match-past and the creativity in the movement of your body and limbs.” He said. Archbishop Okoh who was represented at the event by Venerable Olusegun Majekudomi, spoke of the important role sporting activities play in the development of the human body and minds, adding that it helps in weight control by keeping people involved saved from the risk of a number of diseases. The principal of the school, Estelle Ozigbo, in her address explained that sport is an essential part of the school’s activities as it helps the physical well-being of children. “Beyond the obvious health benefits of sports, it can also teach us much about life. It teaches us about teamwork; how to get along with others, how to work together to achieve a common goal. “It is also about trust and responsibility; and about dealing with success and failure. It also teaches us how to cope with pressure and the need to stick to training in order to improve and succeed.” Ozigbo explained. The principal commended the Archbishop and his wife, Nkasiobi Okoh, Modupe Akinkugbe who is the Diocesan Treasurer, as well as other dignitaries for their support to the school over the years. 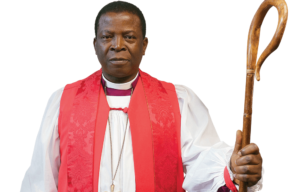 This entry was posted in Belief, Christianity, Faith, News and tagged Abuja, Anglican Communion, Primate Okoh. Bookmark the permalink.